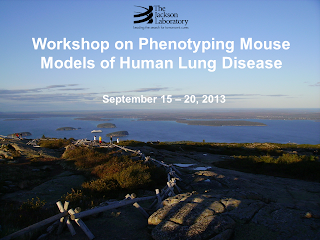 Our very own Senior Scientsist, Dr. Annette Robichaud will again be presenting at this years Jackson Lab workshop on Phenotyping Mouse Models of Human Lung Disease from September 15th to 20th. This workshop is an excellent opportunity to acquire hands-on training in respiratory mechanics measurements using the flexiVent as well as to learn from various experts in the field. Annette Robichaud, Ph.D., SCIREQ Scientific Respiratory Equipment, Inc.
Space still available, click here to register today!